René’s has inspired dedicated fans throughout his career. 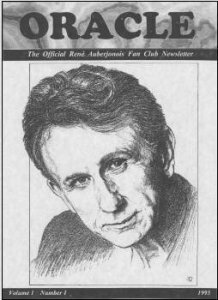 Thanks to the enthusiasm for René’s performance as “Odo” in Star Trek: Deep Space Nine, The Official René Auberjonois Fan Club, ORACLE, began operating in 1995. Since then, René’s fans have worked together to celebrate René’s talents as an actor and artist and to support his charitable fundraising efforts.